This charming book will enthrall young children, as they follow Gerda on her quest to save her best friend from the evil Snow Queen. Stunning and evocative original artwork combined with simple and engaging text brings this tale to life. 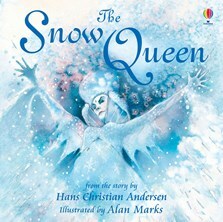 A delightful retelling of Hans Christian Andersen’s enchanting fairytale that children and parents alike will love reading time and time again.